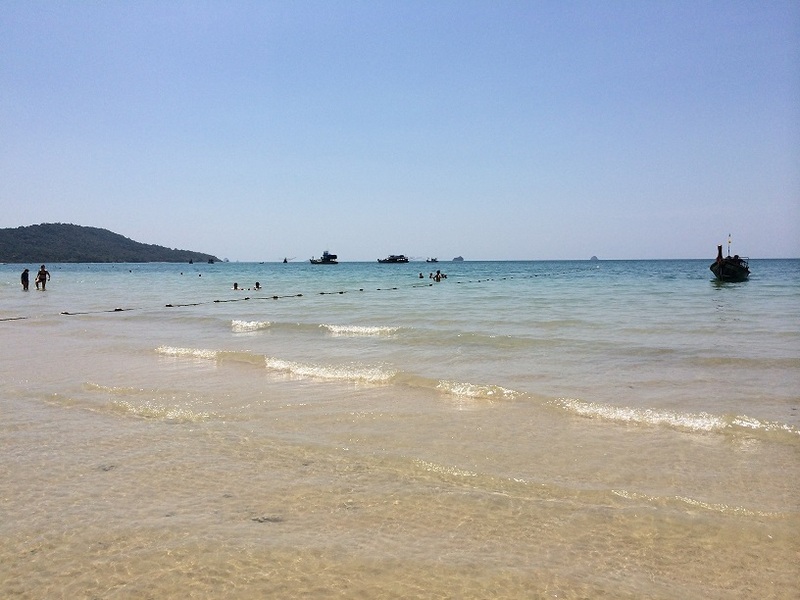 Photo taken at Klong Muang beach. 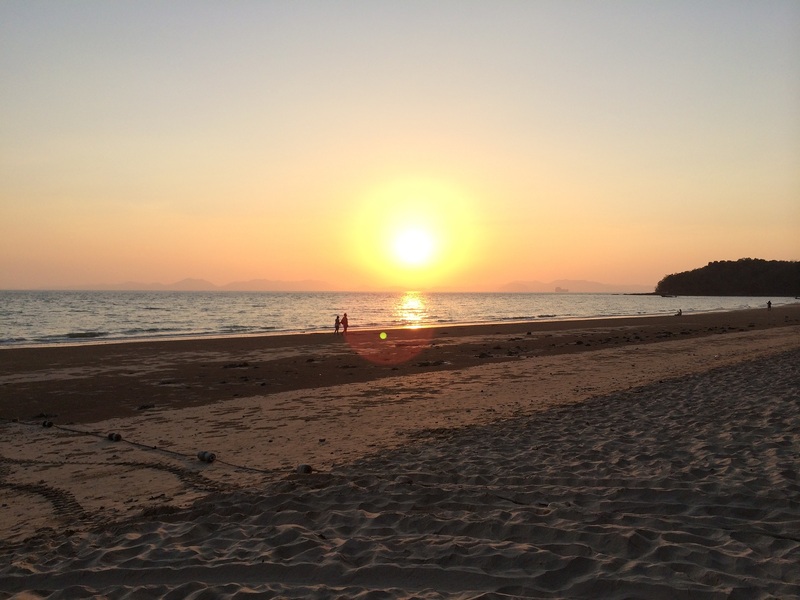 Touted as the next ‘rising star’ of Thailand tourism, Krabi is home to some of the best beaches in Asia. 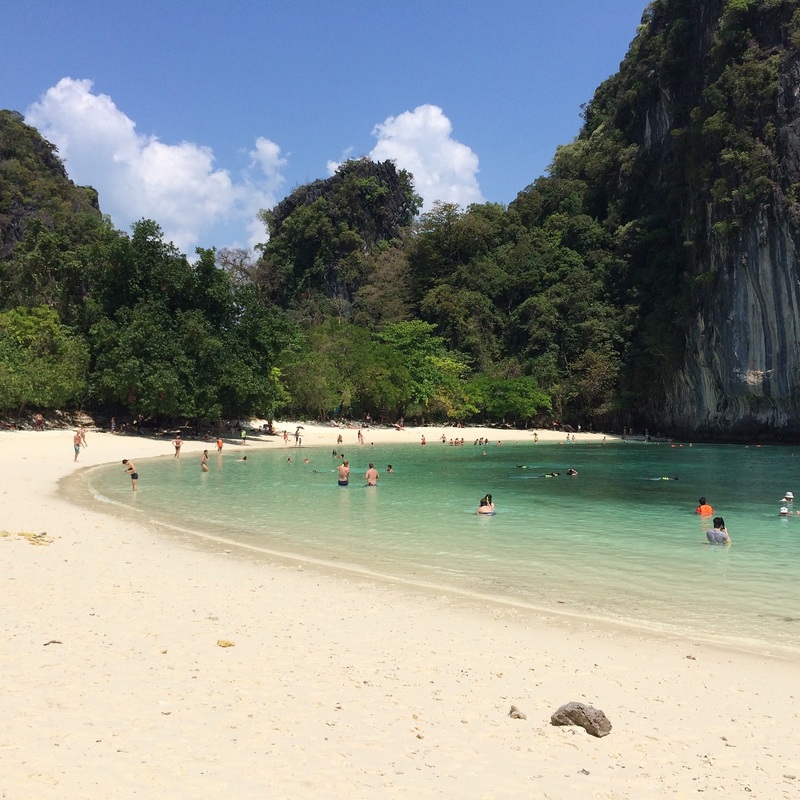 As Krabi only recently opened up to international travelers, it is one of those few beach destinations that is not massively influenced by wide-spread commercialization and aggressive peddling such as Bali or Phuket. 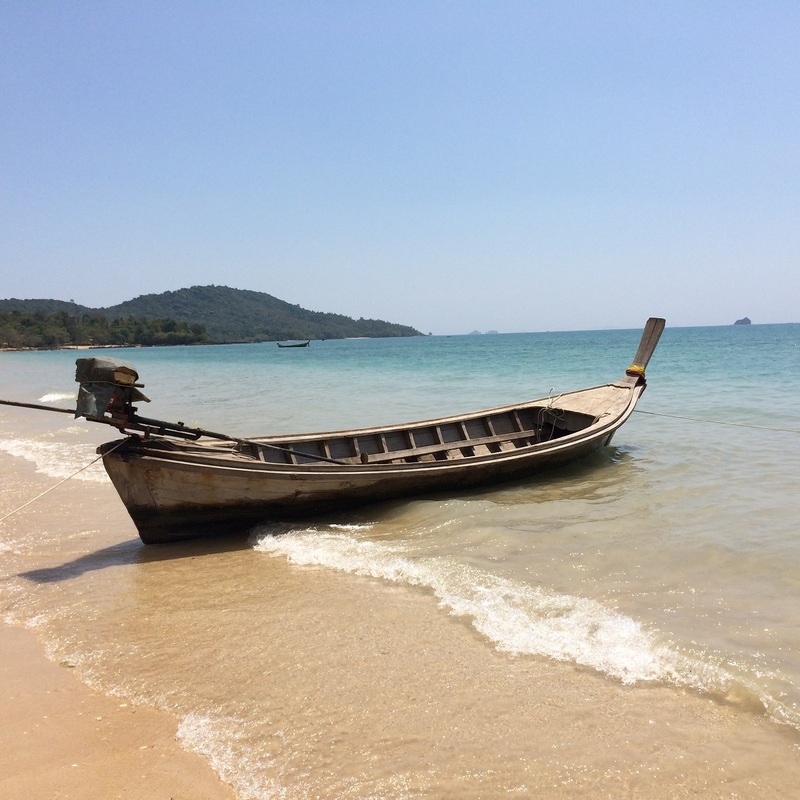 Travelers to Krabi will appreciate its simple and laid-back lifestyle, where the locals are friendly and helpful. If you like outdoor sports like surfing, diving, rock climbing etc., then Krabi should definitely be on your bucket list! The best time to visit Krabi will be between late January to March. I made this travel in February, just slightly after Valentine’s Day and it was perfect – the waters were clear and low tide. Most of all, shops were open! I was there on another occasion in June and the weather conditions weren’t so great. It rained almost every other day; the waters were murky; tides were high, plus, many shops and makeshift stalls were also closed! It wasn’t a joyful holiday at all, and only thereafter I learned from the locals that June-November is their off-season period due to prevalent rainfall and unfavorable sea conditions. Depending on your budget and location preference, there is a wide array of hotels, resorts and apartments located in Ao Nang, Krabi Town and other districts in Krabi. 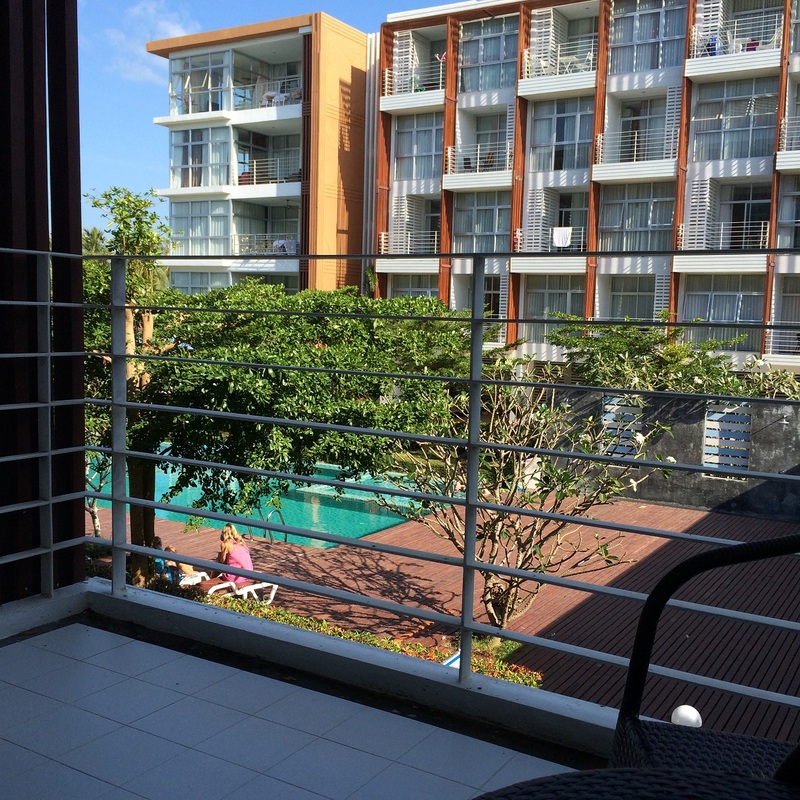 As I wanted to get away from the touristy crowd of Ao Nang and Krabi Town for some quiet and peaceful time, I found a studio apartment at At Sea Condominium , which is located near Klong Muang, away from the bustle of downtown. 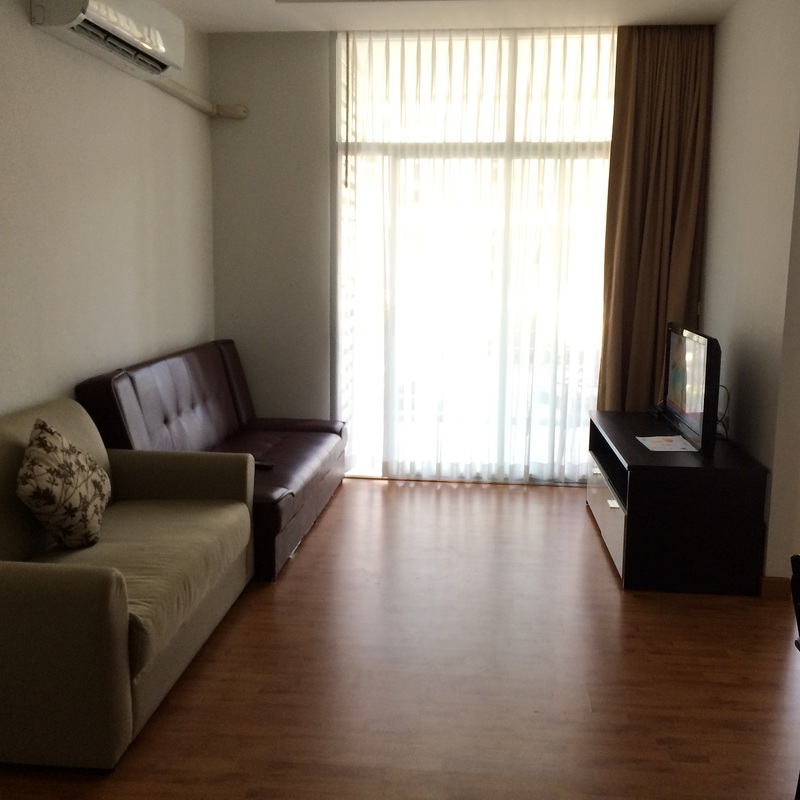 The living room area of the studio apartment. On the right is the bedroom. The place is clean and well-equipped. 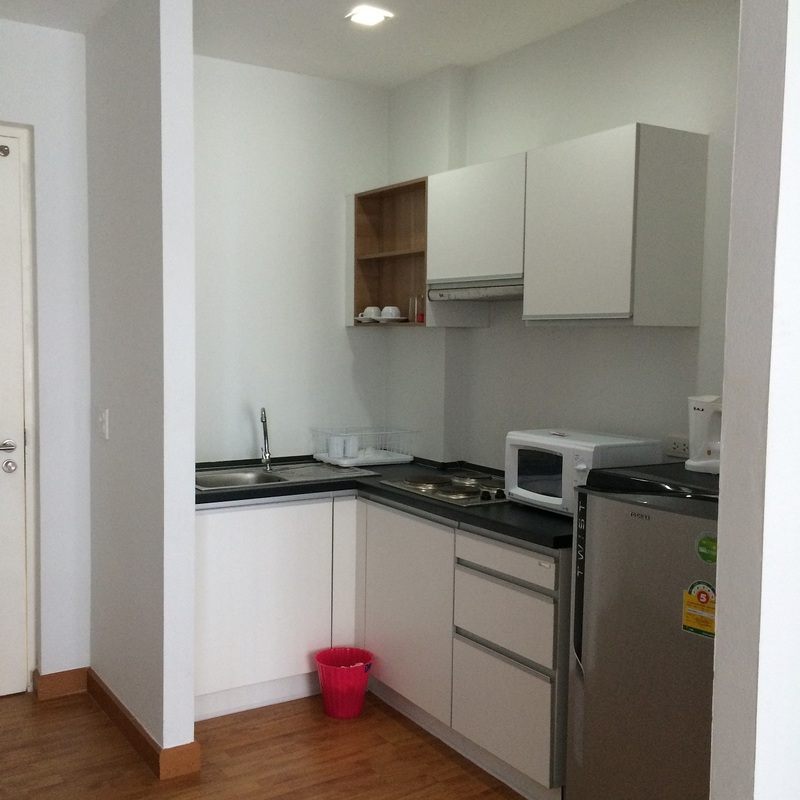 The condo also has a small cafe / mini mart near the pool where you can have your meals, or buy daily necessities. The kitchenette is equipped with all the basic cooking utensils you need to make a simple meal. I was able to make a quick supper here when I was hungry. The apartment also has a small balcony facing the pool. The location of the condo is strategic. 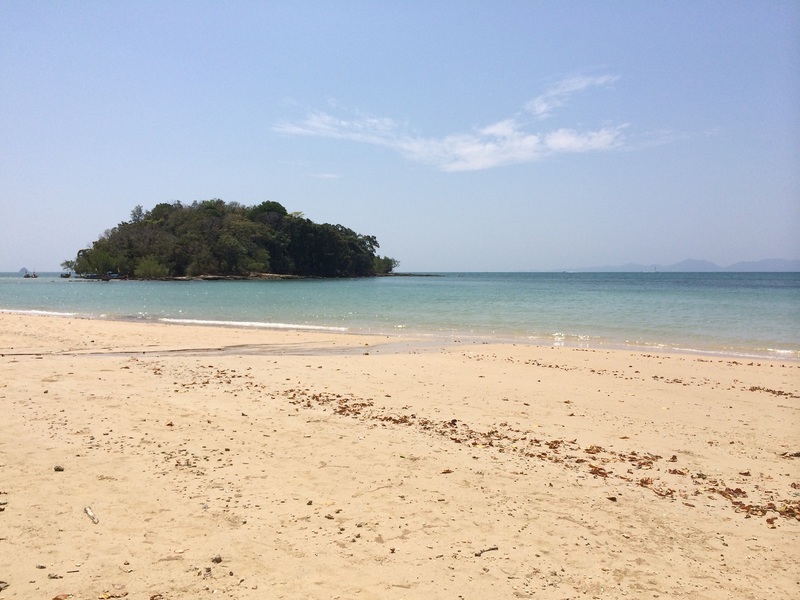 Close to two white sandy beaches just 10 minutes away, I enjoyed bringing breakfast sandwiches to the beach and picnic under the lovely morning sun. Clear, turquoise waters at the beach! And the best thing was that it wasn’t even crowded at all! You can easily pick a spot anywhere and make it your own. 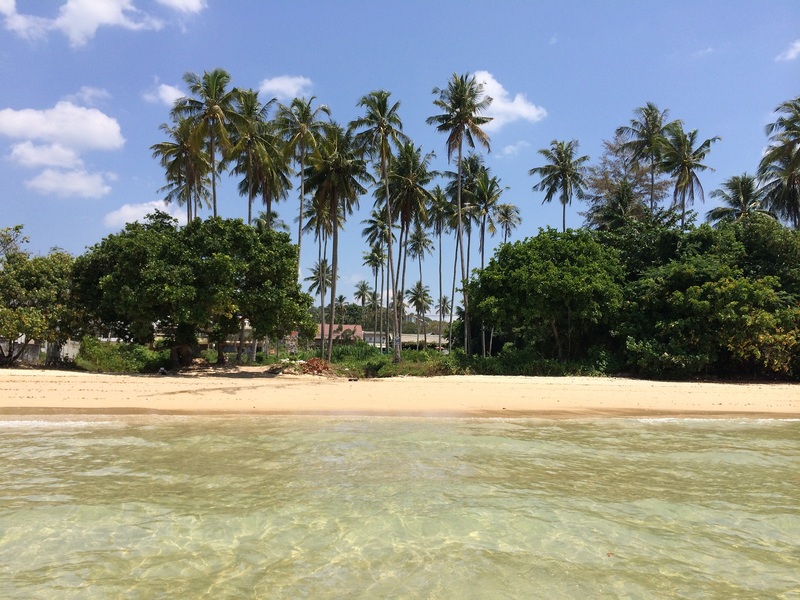 At Klong Muang, there is a small isle located just a few hundred meters away from the beach, where you can literally walk over during low tides. I sat on a huge rock on this isle in the morning for a ‘seaview’ breakfast. Looking for nice Thai food and restaurants nearby? Fret not, there are food places along the small roads of Klong Muang. From local Thai cuisines to European pizza and pasta, you will be able to find something suitable here. How about massage parlors? Starting from an affordable 250 baht for a 60-min Thai massage at a local parlour or up to a 1,000 baht (or more!) at a luxurious hotel spa, visitors to Krabi have a variety of choices. Spa abd massage parlors are as common as eating places and can be found everywhere, some are even on beach itself. Can’t stop raving about the clear waters! 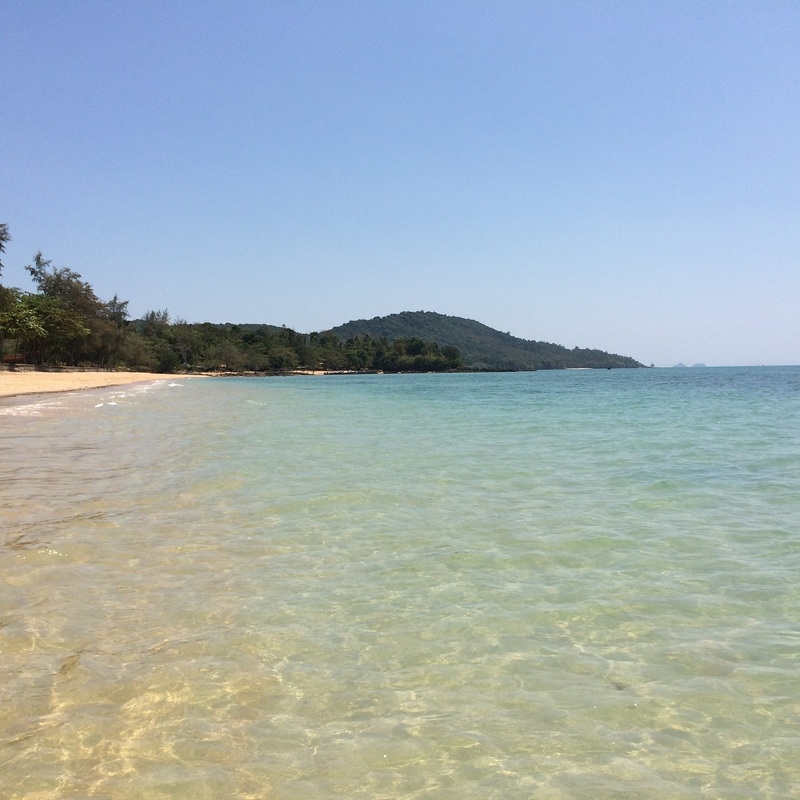 And I didn’t even have to travel far from my condo – this is one thing I love about staying in Klong Muang, away from the hustle and bustle of Ao nang. 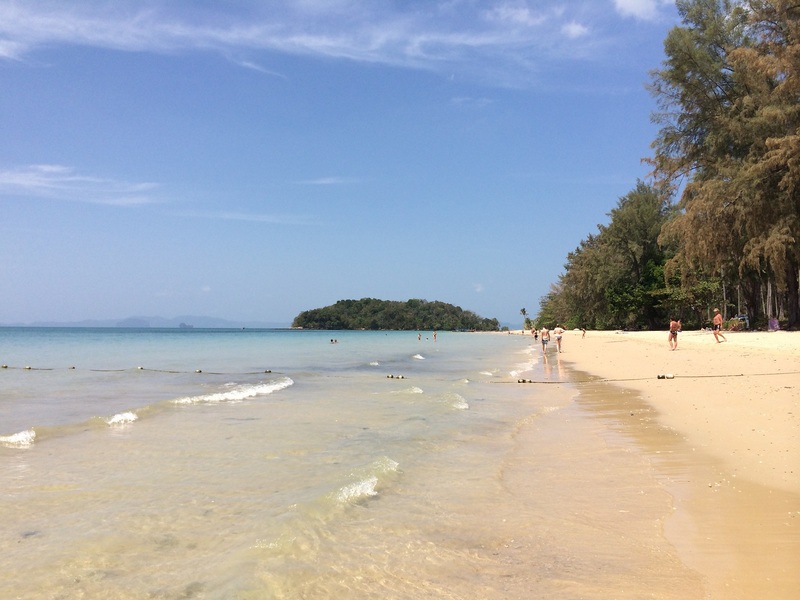 The Sheraton Krabi is also located along this beach – where you can see many holidaymakers enjoying their time under the sun. 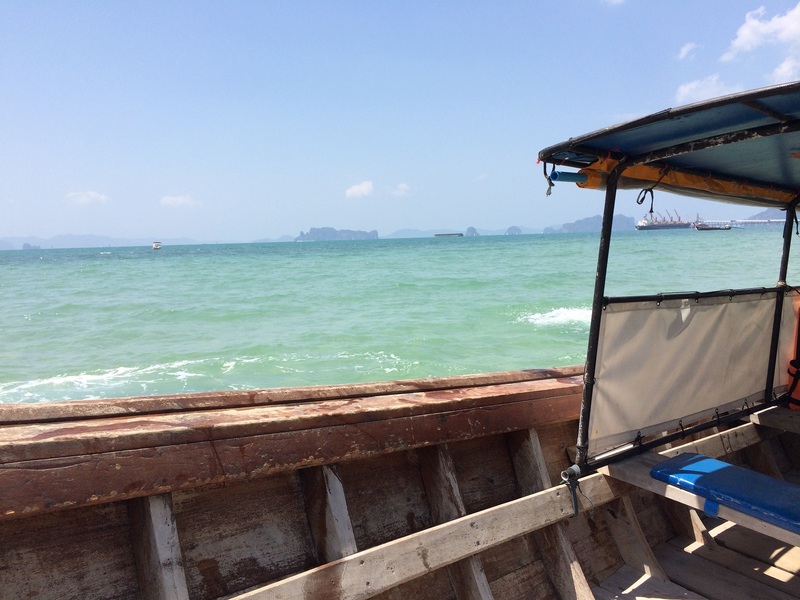 The long-tail boat is the main mode of sea transportation in Krabi. You can see them docked along beaches everywhere. The bar at Sheraton Krabi Resort. 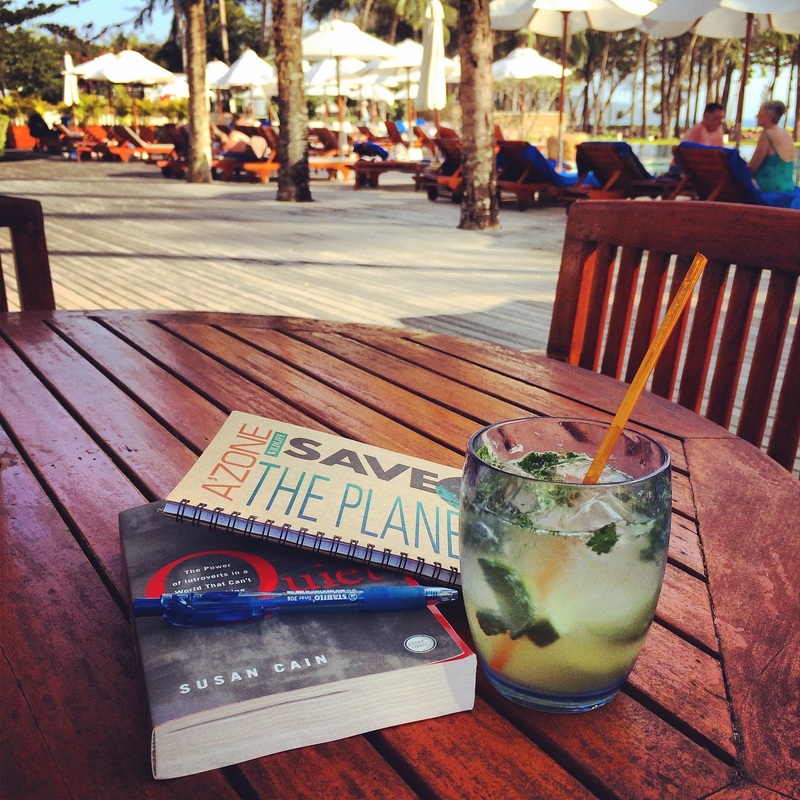 I brought my book and notepad with me to enjoy a quiet, peaceful moment with a refreshing mojito. Opps, couldn’t resist a second drink. 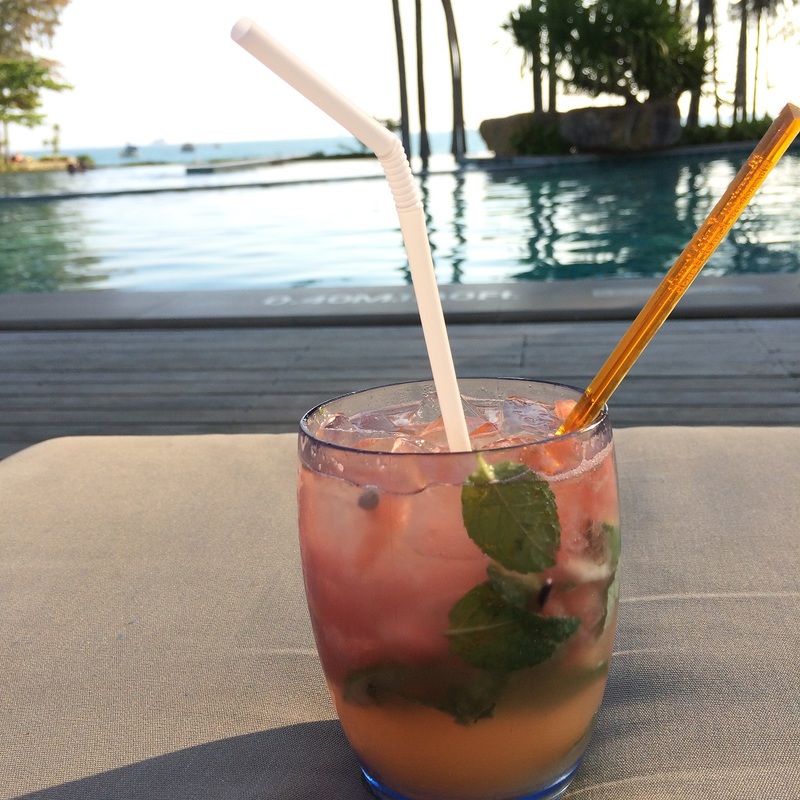 A melon mojito – must try! The sunset is just beautiful here. 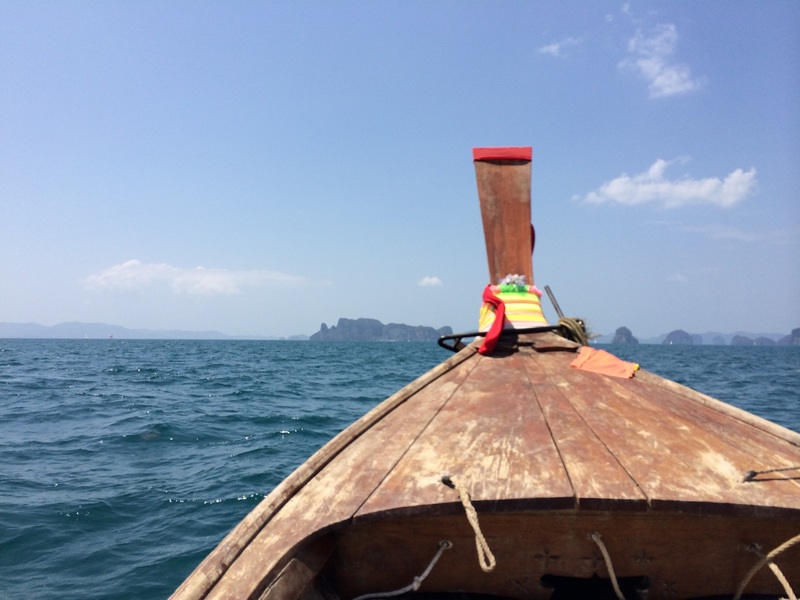 Island hopping is one of the must-do activities when visiting Krabi. Like in Phuket, visitors can travel to the famous Koh Phi Phi and the nearby islands on a day trip. 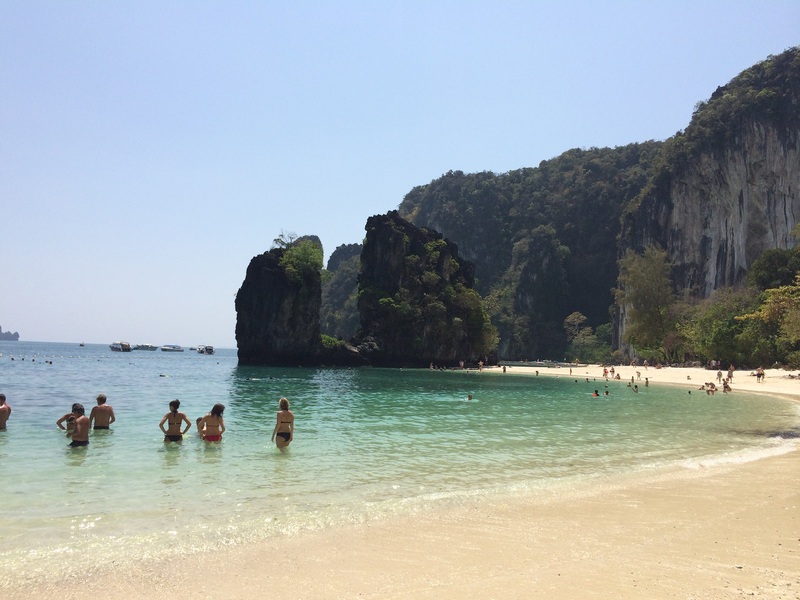 But since we are in Krabi, why not explore the other lesser-known islands? 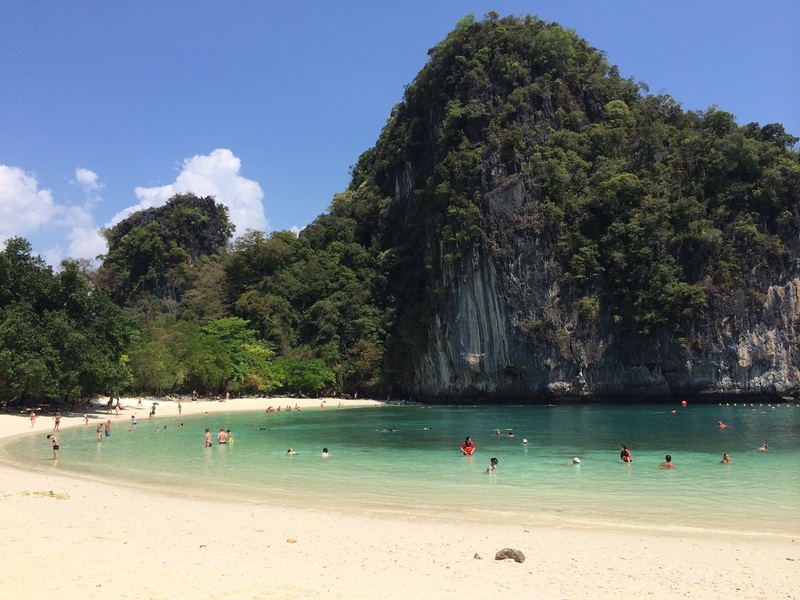 Some of the noteworthy ones will be Hong Islands, Chicken Island and Railay. 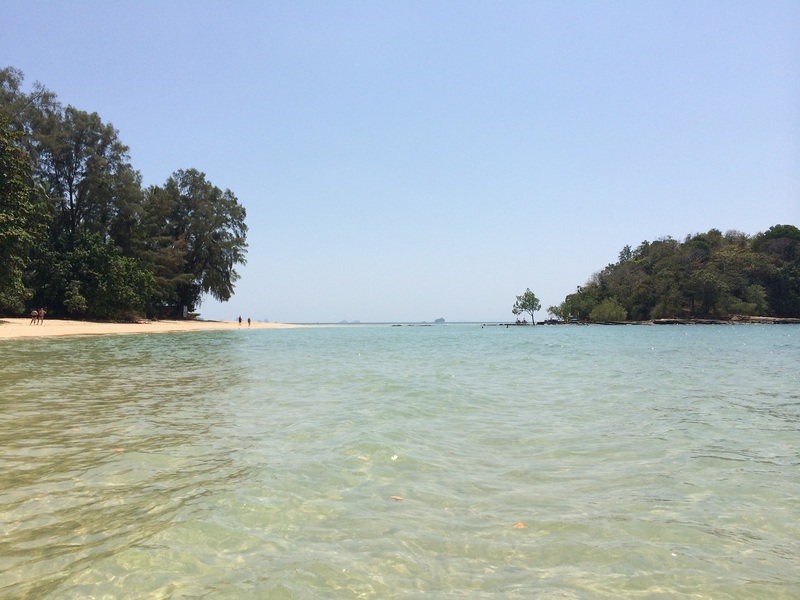 To go island hopping in Krabi, you can either pre-book a tour at one of the tour agencies located in Ao nang (or anywhere else) or simply walk up to any long-tail boat service stall at the beach. The pre-booked boat tour usually starts in the morning (with a schedule to follow) and takes you on a speedboat. For travelers who prefer a more local experience, the second option will be recommended as you will be taking the long-tail boat. Also, the amount of time you want to spend on each island is all yours to decide – without anyone whistling you to get off when time’s up. Setting off to the Hong Islands! Surprisingly, the ride was not as bumpy as I had expected. 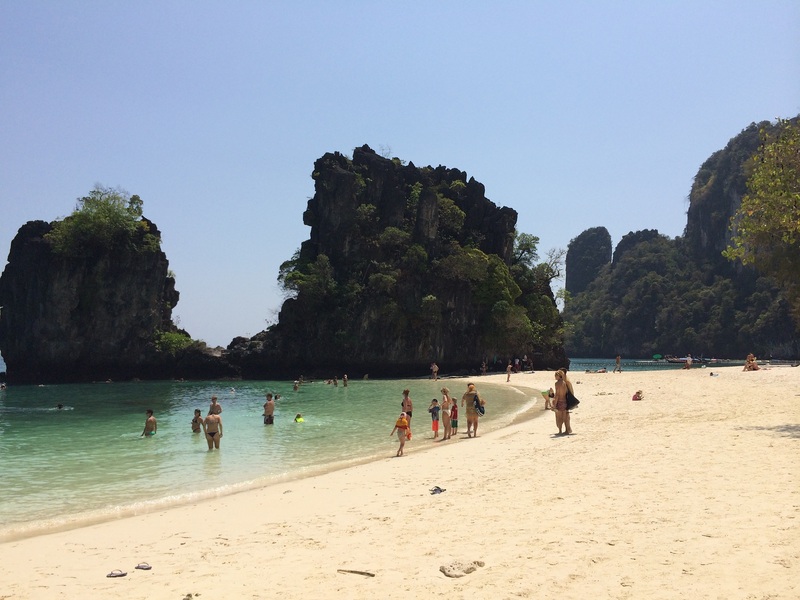 Being a popular island hopping spot, the Hong Island, also known as Koh Hong, was fairly crowded early afternoon. Then again, the clear, turquoise waters and white sandy beach are to die for! Complete with amazing limestone structures hovering above. The waters are shallow and clear – perfect for snorkeling. Small school of fish can be seen swimming so close to the shore. I didn’t get to go Railay and the other islands this time as I ran out of time by spending too much time here (opps), but since Krabi is such a lovely place, I am sure I will be back soon since I haven’t even try rock-climbing yet! 3. Learn Muay Thai (Thai Boxing) – I did this on my second day, it was fun! 4. Or if you are a fan of Thai Boxing, watch a match at the nearby stadium. 8. Go for a beach massage (Have your body relax while facing the open sea, awesome feeling). 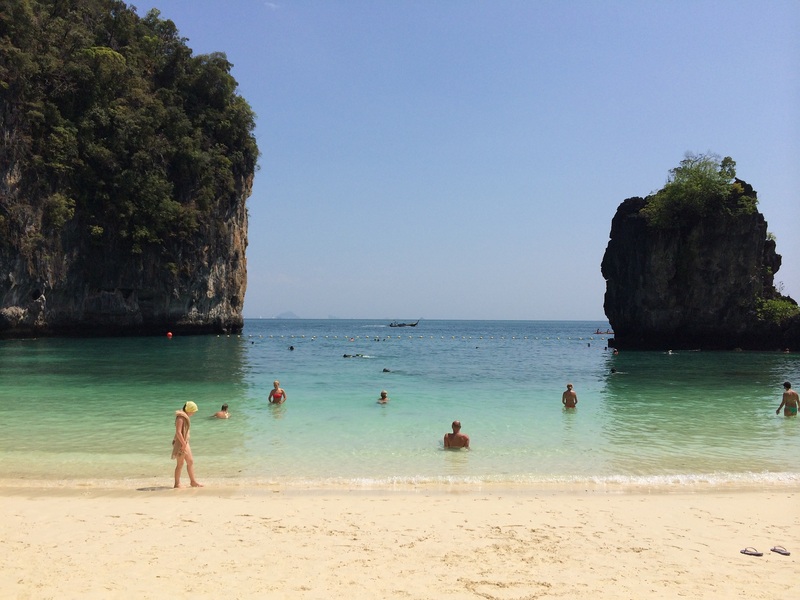 ps, If you have more activity ideas for Krabi, please let me know!